Big news from here on the farm. 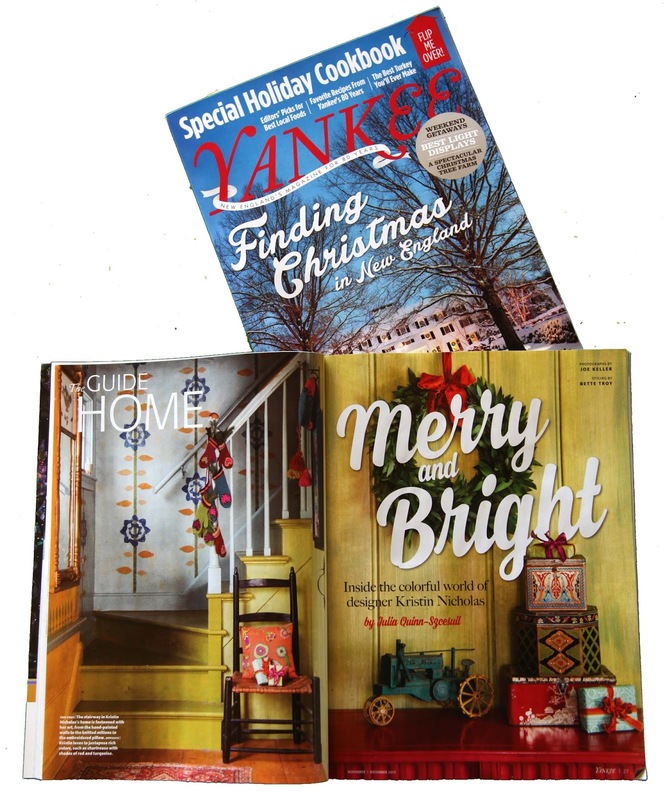 We just received the November/December issue of Yankee Magazine. And there we are on 7 beautiful colorful pages. 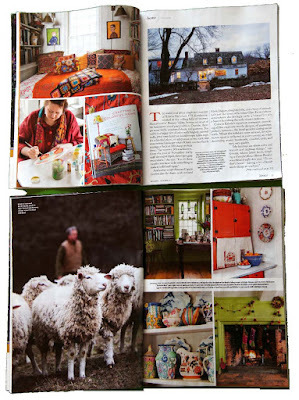 The article written by Julia Quinn-Szcesuil begins..... "Inside the colorful world of designer Kristin Nicholas.....". The article is about our home at Christmas and the different ways we celebrate the holidays. It also tells about the back-story of our family. Julia did an amazing job. The photos are by the talented (and incredibly nice) Joe Keller. Check out his website - he is an amazing photographer. The folks from Yankee were here for 2 days. There was a crew of 6 if you can believe it. They took thousands of photos. And at least 7 cover tries. Here is a photo of Mark, Winston and I taken by the photographer's assistant. 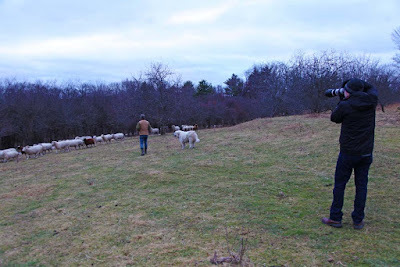 Here is Mark with the sheep and the photographer. The Border Collies dogs are somewhere there and you can see Winston. 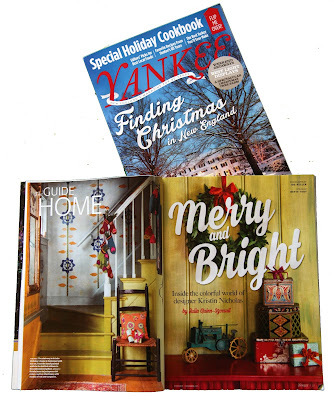 If you aren't from New England, you probably don't know about Yankee Magazine. It is a regional publication that comes out 6 times a year. They have been in business for 80 years. They are also the publisher of The Farmer's Almanac. 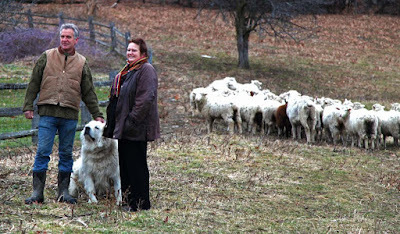 Their focus is to tell stories about New England and the people who live here. It is a big favorite within the region and also with folks who like to visit here or have sadly had to move away from the region. We have already had numerous people at the Farmers Markets say they saw the article. Pretty cool! This is a real honor to be included in Yankee Magazine. 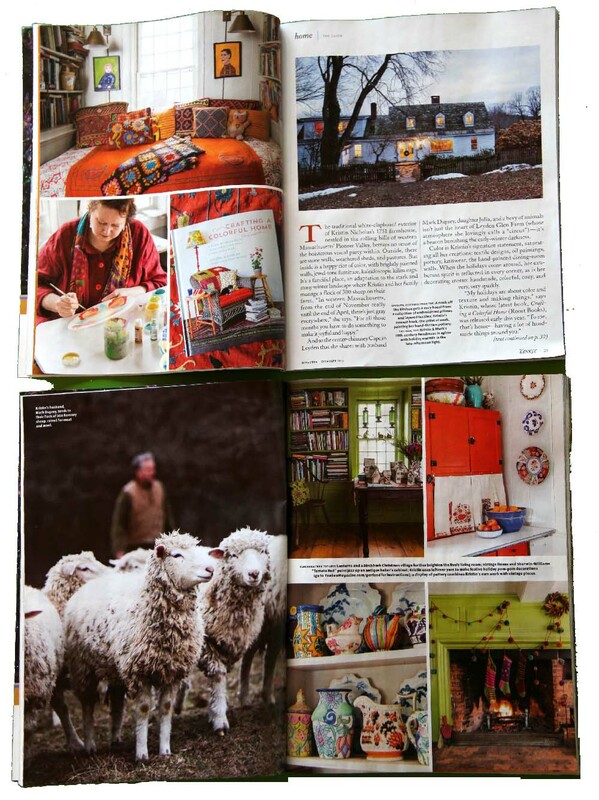 I'm right up there with illustrator and author Susan Branch -- her home was featured a couple years ago. You can read that article here. Thank you to Amy Traverso and all the fine people at Yankee Magazine. BTW, Yankee was just featured in the NY Times. You can read that article here. I'm off to the Tuesday Market in Northampton today. Only 2 more markets left this season behind Thorne's Marketplace Stop by if you are local and say hi. Really glad for you, Kristin! You are getting lots of great press these days. How exciting for you. I read your newsletters and just love your stories of farm life. I am really happy for you! Perfect venue! Ann from Maine (BTW you might want to check out Maine Fiber Arts web site if you ever want to publicize anything. They have an online newsletter with sections to post info, events, workshops...just a thought. Congrats! I'll send you a pic later when I take one. How fantastic, Kristin! I hope it gives your endeavors a big boost!